The links below will take you directly to the 2019 Award Scholarship Applications for Students. Please note that due dates and submission details are listed on the applications. To establish improved communications among local programs, ODE, professional groups, and others interested in Career Based Intervention. To promote the purposes, operations, and standards of Career Based Intervention at the local, state, and national levels. 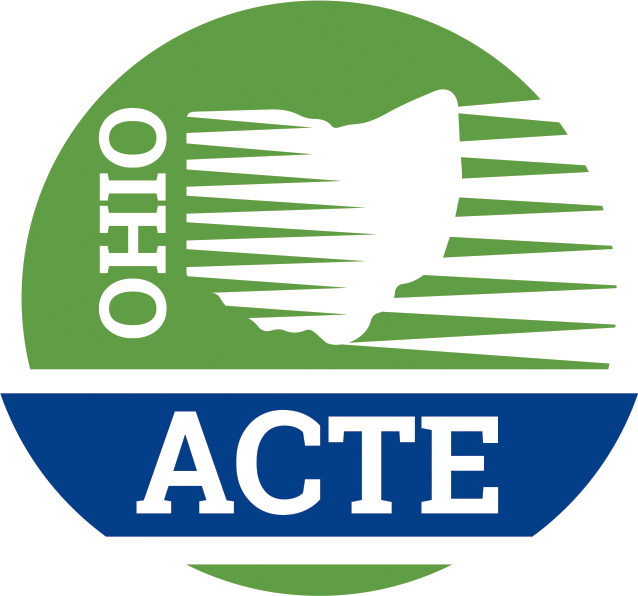 To cooperate with and support the Ohio ACTE through active membership as a united affiliate with Ohio ACTE. Career Connections "Knowledge Bowl" Program Visit www.cbiohio.com for more information. Members of Ohio ACTE's CBI Division are invited to join the discussion! This Discussion Forum is for members to ask questions, share tips and get advice from fellow educators. INSTRUCTIONS: Choose a Forum topic from the list below - or start a new topic. To respond to a discussion item, click the green "reply" button. You can click "quote" on the upper right of the forum item, which will repeat or "quote" the original post. You can edit it to only respond to a portion of the post or a specific thought in the post. Type your reply and hit "Post." It is suggested that you SUBSCRIBE to the Forum (click on subscribe in the bottom right of this message) - that way you will receive emails when information is added - you can determine whether you want to be notified of new posts daily, weekly or monthly. If you subscribe to the Forum, you will receive updates from each topic. This is a personal weblog collaboration – not a peer-reviewed journal or a sponsored publication. Ohio ACTE makes no representations as to accuracy, completeness, correctness, suitability, or validity of information on this site and will not be liable for any errors, omissions, or delays in the information or any loss injuries, or damages arising from its display or use. All information is provided on an as-is-basis. It is the reader’s responsibility to verify their own facts. The views and opinions expressed in this blog are those of the authors and do not necessarily reflect the official policy or position of any other agency, organization, employer or company. Comments on this website are the sole responsibility of their writers and the writers will take full responsibility, liability, and blame for any libel or litigation that result from something written in or as a direct result of something written in a comment. Ohio ACTE reserves the right to delete any comment for any reason. CBI Award Deadline Coming Soon!